Raymond NH real estate has a number of homes available to meet budget-conscious families and singles. See all Raymond NH Real Estate. The origin of the name is somewhat obscure. In a history of the town published in 1875, the author advances a theory that it means “shining world” and was intended to represent the forward thinking nature of the town’s residents. No other source mentions this idea, though. Another theory suggests that the town was named for Captain William Rayment, sometimes spelled Raymond, who fought in the 1690 war against Canada. Raymond is located in Rockingham County. In 1790, the population was 727, according to the census taken that year. In the 2010 census, 10138 residents were recorded. The town takes great pride in its New England heritage and culture. The largest employer is the Wal-Mart distribution center. There are a number of construction companies in town as well. The Raymond school system includes grades from kindergarten through grade 12. There is one elementary school, one middle school, and one high school. There is also one private middle school. From Raymond to Manchester NH it is a drive of 17 miles. To Concord NH it is a drive of 33 miles, and to Boston, Massachusetts, it is a drive of 64 miles. New Hampshire Route 27 runs through town. New Hampshire routes 101, 102, and 107 also cross through, making travel to and from the rest of New England and Canada easy. Passenger rail service can be accessed in nearby Exeter. Manchester-Boston Regional Airport, in Manchester, serves the area with commercial flights. Outdoor activities in the area include camping, fishing, hunting, boating and canoeing, snowmobiling, cycling, and cross country skiing. There is also a skateboarding park. A portion of Pawtuckaway State Park lies inside the northern border of Raymond. Downhill skiing is just a short drive away in Manchester. The historic train depot is an attraction that brings visitors from around New England. It is currently operated by the Raymond Historical Society and contains an historical museum gathering artifacts and documents, including several antique train cars. Raymond is located conveniently to all the amenities that modern life brings, while allowing you to live in a quiet neighborhood with a rural feel and surrounded by natural beauty. 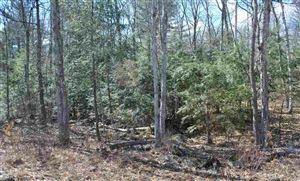 To find Raymond New Hampshire homes for sale, you should work with Realtor who is familiar with Raymond NH real estate. Moe Archambault has the resources to find the perfect property for you.